Well let's start at the top and see where we are with the 17u girls which had 3 teams in either the Premier or Champhionship level events. The Goldrush were the team playing in the premier division and had a great day sufferring only one true setback. Winning their pool in the morning looked outwardly like a close call however the reality was that winning their 1st three sets in a row guaranteed them the pool and letting off on the gas never really put them in danger. The quarter-final was a convincing 2-0 win over Markham Revolution but that brought up the only real loss of the day in the semi. The girls could not handle a hot Halton 16u team but rebounded very well to take down the 17u Hurricanes for the Bronze. This finish should result in a standing that will ensure the girls play in the Grand-Prix event next time out. At the Championship level our Eldorado team was joined but the 16u Wildcards. While this was a 17u tournament the Wildcards ended up with the higher result. Chico T's young team gritted it out with a Bronze medal win at a championship level and age group up. Unfortunately the struggling Eldorado slid to 7th and will drop to Trillium for their next event. Hopefully somewhere close to home and hearth. Remaining on the girls side of the ciruit we find a mere 6 teams competing. Now that the Rustlers have joined the fold the club sits at five 14u teams alone, put that together with the always eager to play Rattlers of John Salem and the club was super well represented on the weekend. At premier B the Outlaws of John Spack were in tough against some of the best young volleyball talent in the province. Splitting their pool matches only meant another battle between Durham and the Mavs, Hellyer and Spack. These too coaches have faced off many times and this one was no less spirirted thatn any of the previous. Unfortunately Attack prevailed and coming out of such a tough loss the Outlaws were unable to regroup for the placement match and will now have to re-qualify for premier level status at the next Championship event. At the Championship D tournament in Scarborough the Desperados and Raiders wore the colours but I have not heard any news so we will have to get back to you soon. Meanwhile down the road in Cornwall the Banditas, Rattleres and newly formed Rustlers took to the court. Let's take a quick peak. As mentioned the Rustlers were selected immediately prior to Christmas and have only had 3 weeks of training. This group of greenhorns simply came out of the gate with a pair of wins over KVC and the Pembroke Vikings to win their pool. However the wheels fell off the chuckwagon and the girls suffered back to back losses to finish 7th overall. Good start but I am sure the coacehs will get right back to work preparing for their next event. The Rattlers 13u once agaian took to the 14u age division with a bang, winning both their pool matches over Kingston Kats and the Banditas. The girls played the rude guests by eliminating the host Cornwall Vikings in straight sets before bowing out to Pegasus in the semi. True to form they rebounded in the bronze with a 2-0 win over the Kats from Kingston. As for more of the Banditas ... I'm waiting. Moving over to the boys let's start young. The 12u Lonestars were a team of 10 little hopoefuls, 3 of which are under 10 put together by coach Mohammed Shaheen and they soon found out that they would have to play up at 13u with no OVA 12u division on the boys side. Well thy got their first taste of action this eekend in Coburg and I have to say I was very impressed. These young bucks battled every rally all day long. While they went home without a victory I think the seed was planted for a life long love affair with the game. Meanwhile also in Coburg were the 13u Copperheads, fresh off a 5th place standing last weekend at 14u the team settled back in to the ways of Triple ball. Winning their first four matches in straight sets, coaches Lebreux and MacLean were on cruise control. In the finals however were a fiesty and fst rising Durham Attack squad who shocked the 'heads in the first set. True to their moniker the young MAvs had a little sting left in their bite and returned the favour in the 2nd. However when the bell rang for the third it was Attack that had a strangle hold on the set and the gold. 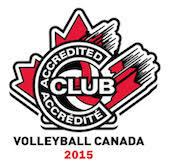 Silver for their second straight 13u event is still a proud acheivement for all involved. FInally at the 16u level, our Longhorns had their longest journey of the season heading down to St Catharines and the Premier event at Brock University. These up and coming Steers were a thorn in the side of all the established teams at this level even the vaunted Pakmen taking a set in every match, however their inability to close one of the the other two left them back on the road home and returning to Championship for the next event. Meanwhile out in Cassleman both the Bulls and the 15u Chargers were heating up. The Bulls fought tough through the day and found themselves in the final 4 for the first time. This new experience left them without resources to pull off a win but the top four often spurs a team to move up a nothc in training when they return to the gym. However the performance of the day had to go to the Chargers who took the event by storm going undefeated and winning the Gold normally moving up to the Premiere status but with it being a Grandprix event they must look at the points game to see where they fit in next time. All in all a huge victory for Coach Gratton and his much honoured band.